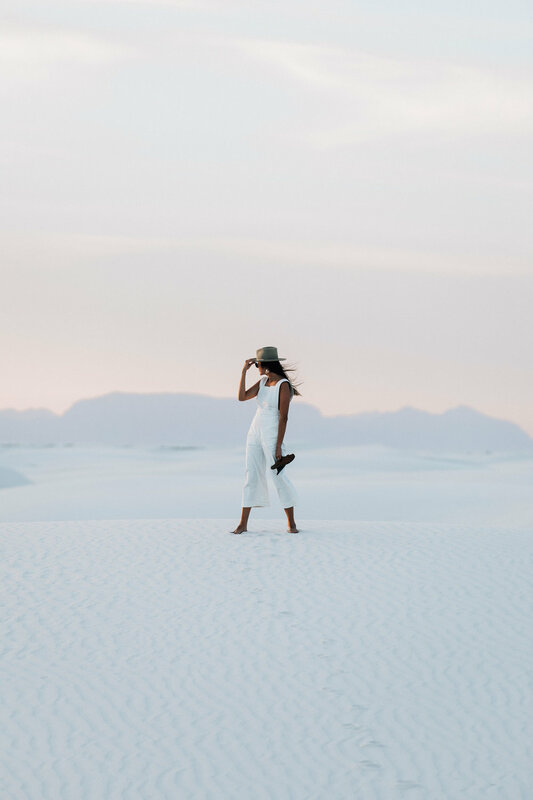 One of the most majestic places I have ever been to is White Sands National Park. We had just made it in time to catch the sunset and I truly felt like I was in heaven. The absolute size of this place is incredible. The dunes just keep going and going as far as the eye can see. The landscape is so soft as the sun begins to set. The lower the sun goes and the higher the moon gets provides the most magical colors. As you can tell, we couldn't stop taking photos and had to take advantage of the backdrop for a photoshoot. Another favorite spot was actually the motel we stayed in: White Sands Motel. The staff is so friendly and they give you sleds to take out on the dunes (they actually don't go as fast as you wish they would). You may wonder: Why are there always so many solo shots of me in all my posts? Mainly because we go to these remote locations where there aren't any other humans around, and when there are we usually get a blurry, uncentered photo back. We've been playing with taking tripods with us on our trips, but I'll be honest - we haven't mastered the tripod craft. 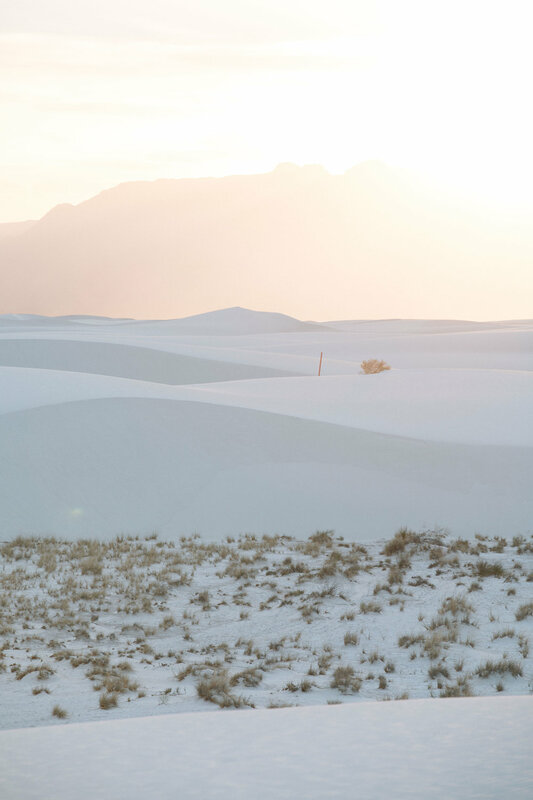 To be honest, there isn't too many things out in White Sands besides the park - but that's really all you need. Just get in and explore.